I'd really love to see Cloven Hoof shoe skins similar to the ones on the Raiment of the Lich outfit! Please make it happen Anet! Add make up! This is such an obvious thing to add! The game is already fashion wars. Let us change eye-shadow, lipstick, blush, etc. Even just 5 presets of each with a color choice would be fantastic. One thing I would be interested in, is an option in the Total Makeover Kits for hornless/polled Charr. While there is the option for the horns that look like they've been filed down and capped (it's the picture on the middle right), there's no really true hornless option. I think this could be nice for a more drastic look change, open up more options to people who don't like horns clipping through certain helms (or have a horn helm they want to use but clashes with the Charr's horns), and there's some interesting ilr justification to back it. Can we get Strider's Armor skin from the Gem Store again? I haven't seen it for a while and want it badly. Thanks! Hey, I would like a leafy, thorny, nature-y chair throne for my Sylvari, please. :P Add flowers too! Pants that Give u the look of having goat legat, similar to Raiment of the Lich! Wanna make a faun, using the New horns. We have an ongoing theme in our guild and we would ALL buy one. Apparently good female WvW Commanders are rarer than unicorns according to some people and we love our awesome female commander, so anything unicorn-related would be appreciated. Please bring back the Dervish package for Halloween. Thanks! I know we have the Path of Fire Prep pack, but what about a package that is just a character slot and a Level 80 boost ticket? I'm pretty sure that'll print money, since you can only buy so many prep packs. what about making branded, spooky, wintersday mount skins for rollerbeetle ? That would be absolutely amazing for those times there is a lull in a map event, for players who roleplay during their adventures, to give more immersion to the exploring nature of this game. Then, why not a table with some tea to drink too? Let us buy rolls of gift wrap that will let you put up to 5 items into a parcel and mail it to a friend. They get a cool little courier animation when they get one (much like the mail carriers now) and a new letter in their inbox with a wrapped present! When they open it a themed pop-up appears that shows them their items. The theme could depend on the type of gift wrap used - birthday, quaggan, congratulations, you're awesome! are generic and available year round while holidays could sell limited time themed wraps. What's more, you can use this to box up and send gem store items in your inventory to friends, so problems like stacks of hair kits for folks with the endless contract can be solved! In exchange for your hospitality, you're given a black lion key. So price them at maybe the same price as keys or 10 gems more than keys just to help deter abuse. Annaveil Neveris | "Perhaps all one can do is hope to regret the right things." I would like to see a 3rd Black Lion Gardening Plot. I would like an item that turns regular home instance nodes into rich versions. I would like to see the return of the perma Noble Ledges pass. I would like an item that allows me to store my favorite travel points like the season 3 and 4 books do but at my choice. I would also like to be able to custom name the points entered. Should work for anywhere. Basically an item that stores my 3D coord and allows me to return there at will at no charge. 10 spots should do nicely. No purchase limit. Priory pants are the best male pants in game can we get something just as long and flowey yet still allows each leg as separate, but ya know... different? a half skirt with 2 legs like priory is good too, perhaps more shiny or higher quality materials? I would love to see a straight jacket themed armor set for light armor (cough* my Mesmer needs this)! I'd love if some “awakened“ or “lil bit corrupted“ (like corporal kellach before he fully turned undead) skintones or faces were added to the total makeover kit. Just the addition of the eyes from the wraith mask as an eye color would be great. More outfits geared towards the ranger look would be appreciated. A mini Keeper Jonez that occasionally takes naps and casts spells. 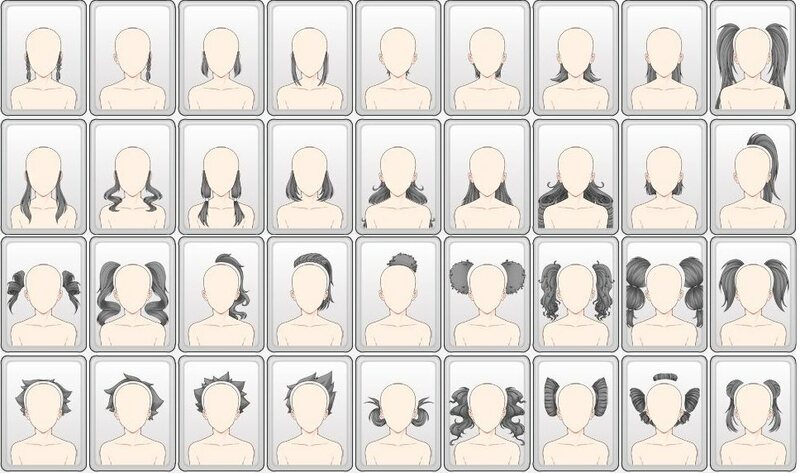 No needs to release 50 of them in 2 days, progressively , just some for players who aren't satisfied with their actual haircut and that just want to add ponytails... Will sell a lot imo, more customization! But yeah need some works. I would like some changes to the world boss device. I really like the device for general world bosses. But there are a few bosses (like TT), were I can not use the device. if you want to join an organised commander. I would be great if we could get the option for TT sooner. TT is my favorite world boss, and I would like to use the device for it. Still the device is only 400 gems, and it works really nice in general. I dont know which dev made this, but I am really thankfull for it. More shared inventory slots. 21 just isn't enough. By my current count I am already 8 short at maximum and I am going to be 3 more short in the near future. Please allow for more shared inventory slots. Upping it to 32 would be in-line with the current maximum for bag slots and one could argue with all gobblers available that even more shared inventory slots would not be out of the question so 40 would be perfect. Thank you for considering. I would like to share all the ones marked in green between all my characters! I'd like to purchase levelling armor. From 1 to 80, the armor stays at your level in terms of stats. Perhaps it's always rare armor? There are still may people who would love to have basic griffon mount skin with four dye channels, and more importantly - ready to pay for it. 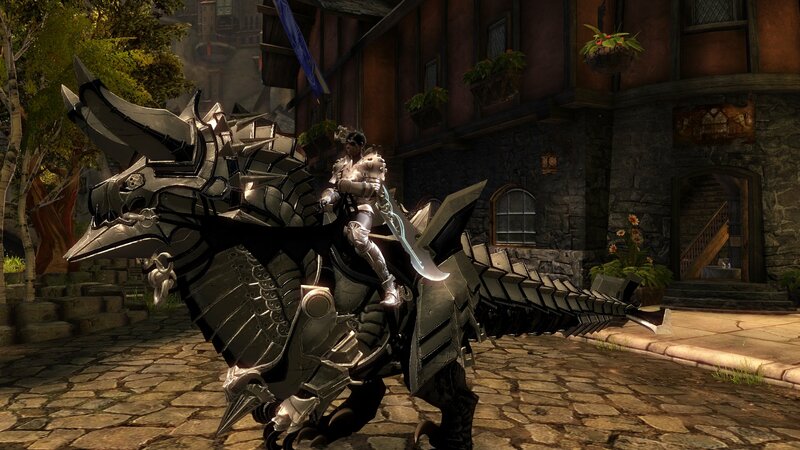 So why not make it purchasable - through an adoption licence or as an individual mount skin? And with already existing design with three well established color areas, and the markings on wings and tale as a potential fourth area, half of the work of preparing this pattern is already done. Would we be able to get the old race specific town clothes back as armor skin pieces? The Charr npc’s have amazing looking town clothes and it would be wonderful to be able to use them as armor skins for any armor type. I know u can get the “sets” with tonics but being able to use the old looks as individual armor skin would still be awesome. I'd like the Magnus's Eye Patch to come back. It's been a while. Enhanced World Boss device to have the other Event Timers in it that I would normally have to flip to the Wiki for such as Meta timers. 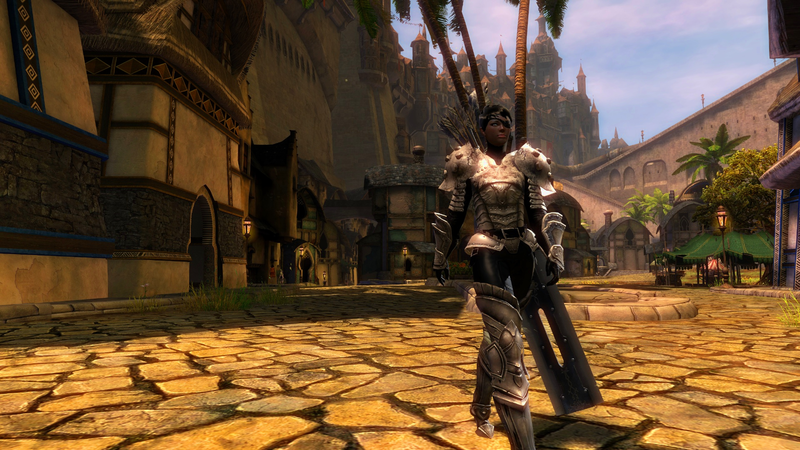 The problem with this is I'd stay in the old Lion's Arch all day and never come back to the new one, lol. A general suggestion: more outfits that will look even halfway decent on charr. There is a serious lack of those. NEW HAIRSYLES PLEASE. NO MORE HAIR COLORS. 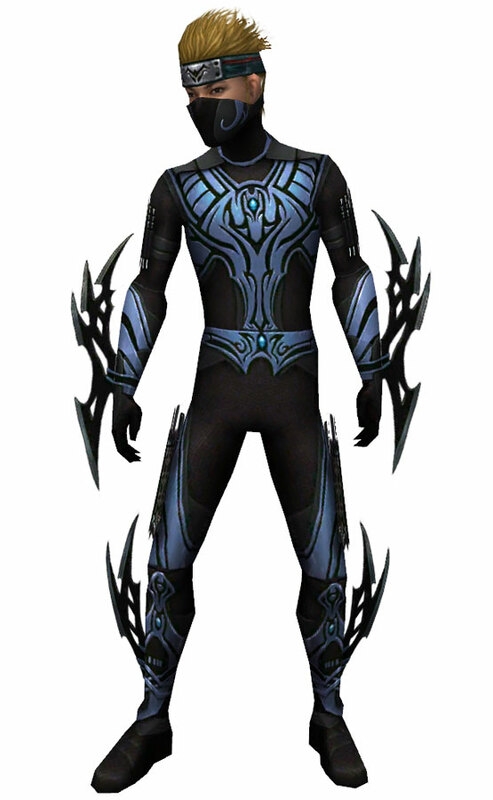 I would like outfits in Rift, you can pick the parts of the outfit that you want and combine them with pieces from another. While I'm enjoying a lot of the over the top mounts that have come out like the Umbra Demon Skimmer for my Necromancer, and the fire variants for elf-wizard looking Elementalist, Branded Set for my Mesmer, one thing I'd really love to see is a set of no nonsense-nonmagical armored set of mounts for my warrior. Something spartan, practial and martial looking clad in armor. Does this character look like it has any business being on a glowing pink bunny? A dolyak calf mini without the Wintersday presents on its back. More hairstyles please! Long hairstyles- and better ponytails for humans. More nordic hairstyles for Norn. more flower hairstyles for Sylvari. 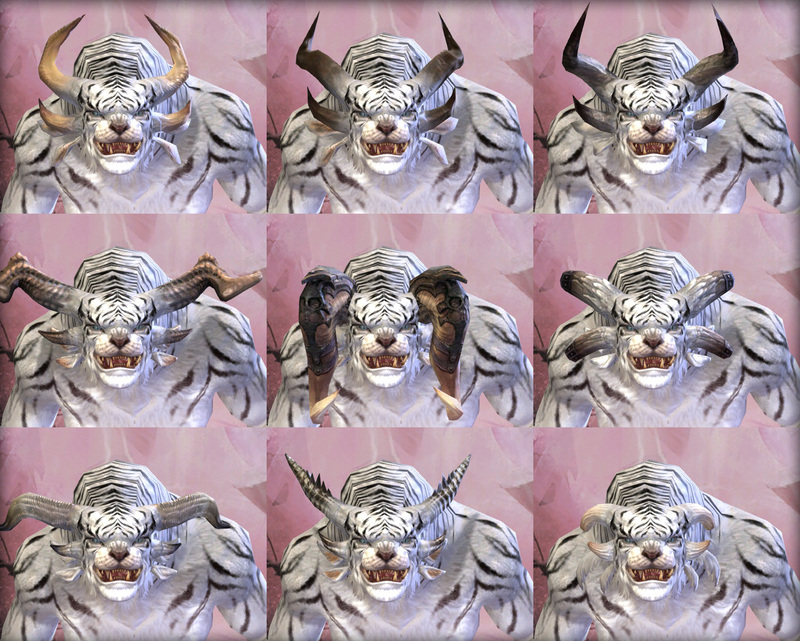 Less cute hairstyles for Asura, Manes for Charr - no more shared hairstyles between genders or races. There are several hairstyles that NPCS have that are unavailable to players. Please add them. No more bulky outfits. Practical please. Like your outfit designers typically add something that makes an outfit not as... good as it could have been? Like the Crystal Nomad would have been better without the crystals. The design choices make no sense more than half of the time. Please hold a player outfit design contest!! Or even a player mount design contest. It has been a while since I read all of this thread, so this may have already been suggested. I think it would be really cool and useful to have some kind of collection unlock package. Ideally, this would be for those collections that unlock on random drops. There could be value in unlocking other collections or side stories, but things like the elite collections require you to play as that class anyway. As somene already mentioned, Personal Outfit would be amazing thing to have! Also I'd like to see more styles/shapes of a scarf. instrument themed weapon set with the axe as electric guitar and scepter as mic. Music box to play any song we want just like D-J Golem in sunspear's refuge. Just use the same mechanic.